08/10/15 Tanaiste and Minister for Social Protection Joan Burton TD and Minister for Business and Employment Ged Nash TD pictured with John Paul Scally, Managing Director Lidl Ireland and Northern Ireland and store assistants, Raymond Keating and Katarzyna Pilarczyk pictured this afternoon during a visit to Lidl, Terenure, where it was announced that the supermarket giant will be paying a minimum living wage to it's staff.. Picture Colin Keegan, Collins Dublin. 'I love you guys," chuckled Enda ironically as he hopped into his car and drove off, leaving a melee of mithered media in his dust. The Taoiseach is just trolling everyone now. Joan is a Tánaiste on the edge. The roof is about to come off Leinster House with all the pent-up nervous energy rolling along the corridors. Everyone with a dog in the upcoming political fight - supporters, staff, reporters and candidates - is on permanent red alert for a November election. In the early hours of yesterday, the ghostly emerald glow of the aurora borealis was visible unusually far south over Ireland. Was that a sign? Is there any chance everyone can simmer down? The answer to the last question is a definitive No. As a general rule, politics goes quiet in the week before the Budget. But not this year, no siree. Yesterday, it was political equivalent of the first day of the Christmas sales. Fianna Fáil and Sinn Féin both launched their pre-Budget proposals and seized the opportunity to take skelps at Enda the Undecided. "It's a con-job from the Government," sniped Pearse Doherty. "I think they're spinning the media and others about the election date." Across the road, a cohort of the Leftier of the Left were launching their new 'electoral bloc', the alphabet soup group to be known as the AAA-PBP (Anti Austerity Alliance-People Before Profit), which is set to run more than 30 candidates in 27 constituencies. "This is the biggest intervention by forces of the Left to the left of the Labour Party, probably in the history of the State," proclaimed Richard Boyd Barrett. "Labour has cruelly betrayed the hopes and aspirations of working people," he added. And so the battle-lines among the Left are being drawn. 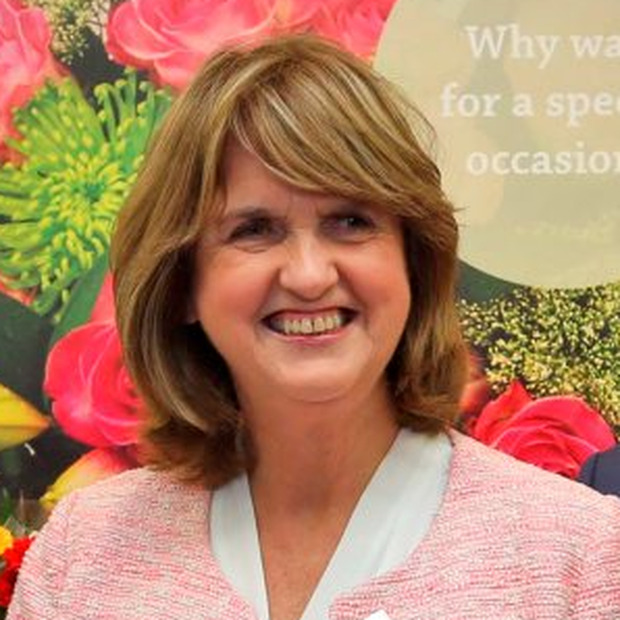 But is there a more troubling war breaking out between the Taoiseach and Tánaiste over the possibility of the plug being pulled months before Labour is good and ready? Both Enda and Joan - along with ministers Heather Humphreys and Alan Kelly - trooped up to the RHK to launch the local authority plans for the 1916 centenary celebrations. It should have been a jolly occasion and the organisers had the hall done up beautifully for the event. But the media were lying in feverish wait. The Tánaiste was nabbed on her way in. Was she being bounced into an early election? Joan pasted on a smile. "I'm not sure that anybody who is a decision-maker in this has actually said that there is going to be a November election. We have a lot of work to do. I've never been a quitter," she added, with the implicit implication that her political other half was risking being labelled precisely that if the Dáil heads for an early shower. Then Alan Kelly was ambushed on Enda's intentions. "I don't feel anyway undermined," he protested. "The Taoiseach has always been very honourable. All along the Taoiseach has said…" he began, when his phone rang. Except it didn't actually ring - it played a Billy Joel song. "Honesteeee," warbled Billy with the comedic timing of Buster Keaton. On the stage of the RHK, Joan and Enda were careful to have little chats as they sat side by side. But alas, the display of togetherness put one in mind of John and Mary from Father Ted. Afterwards, the Taoiseach bustled out the door, reporters in eager pursuit. "There's an obsession among ye about the election," he reckoned. Meanwhile, junior sports minister Michael Ring was in his department playing Santa, handing out over €41m in sports grants. "Everyone is talking about the election, every place you go. They have it in their minds and I think they're ready for the election now," he proclaimed. Earlier, in Leinster House, one Labour TD insisted: "Nobody's talking about an election outside this building." But in a taxi departing the RHK, the cabbie Robbie clocked the reporter's notebook. "So," he asked, "When's the election - November or February?"